It wasn’t until I moved to California that all the AT&T coverage jokes made sense to me. In the less than 3 mile stretch between my house and the office, there are three dead spots where calls are guaranteed to drop and in some other areas I get knocked down to Edge instead of 3G. If I lived in the middle of nowhere, I’d understand (maybe). But I work two blocks away from downtown Berkeley CA and the UC Berkeley Campus. I’ve seen lots of dead spots all over San Francisco, too. And of course, most of the BART stations (stations, not inside the trains) have no service at all. They claim (yes, I called) some towers in my area are “under maintenance” and one is “under repair”. I don’t fully believe them. We’ll see. And yet, I stay with AT&T… I like the ability of being on the phone and use data at the same time, I like the faster GSM download speeds (when there is service), I had good service all over Texas, even in the middle of nowhere (i.e. on the road to Lared0). I’m naive enough to believe they will improve here. Will they? I read somewhere that the issue may be that your new state is too picky as to where they can build towers and the fact that it takes two weeks to get a permit to build a new cell tower in Texas and a lot longer to do that in the left… I mean, west coast. 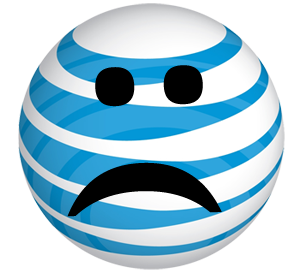 Not (completely) AT&T’s fault.